Our team of Ingenico developers provide end-to-end software development payment solutions for ISVs, VARs, ISOs, Merchant Service Providers, Financial Institutions, and Retailers utilizing Ingenico POS terminals. Our services range from terminal augmentation, migration, and customization, to configuration, SDK integration, and more. Chetu implements custom POS software and pin pad interfaces making them compatible with a range of sought-after features, including security algorithms, customer engagement modules, and analytics. Our developers leverage Ingenico APIs such as POSgate to ensure your system has all the requirements for a versatile payment terminal. We provide custom standalone Ingenico terminal application development using Telium and Telium 2 SDK with direct interface to credit / debit, prepaid, gift, and loyalty card gateways. We customize the terminal for marketing and loyalty capabilities to align with your operational flow. Ingenico offers online and mobile payment processing and value added services to help businesses reach their full potential. Our developers ensure each solution in mobile payment is configured and integrated seamlessly with financial flow management, reporting and reconciliation, Go Mobile and Omni-channel features. Our experienced developers integrate Ingenico's REST APIs to custom reporting modules for gateway transaction data analytics and third party systems for a fully integrated, end-to-end POS and payments solutions for Telium TETRA, Telium 2 and other payment solutions. At Chetu we ensure all Ingenico payment solutions are expertly implemented, customized and integrated to your legacy software system to connect to your audience, engage with customers and accelerate your business. We provide services for Ingenico ePayments, AXIUM, Smart POS, Fleet Management, Business and more. At Chetu we provide fully integrated SmartPOS terminals including portable, desktop, integrated, SMB mobility, Retail Mobility, Retail PIN Pad, Self-Service, Biometrics and Fiscal with convenient payment infrastructures including customizable apps, loyalty and reward capabilities, couponing and more. Chetu helps brick-and-mortar retailers break the mold of traditional check out aisles with mobile pos solutions like mobile POS card readers including Moby/8500 and RP750x terminals to offer competitive solutions for ever-changing consumer payment needs. 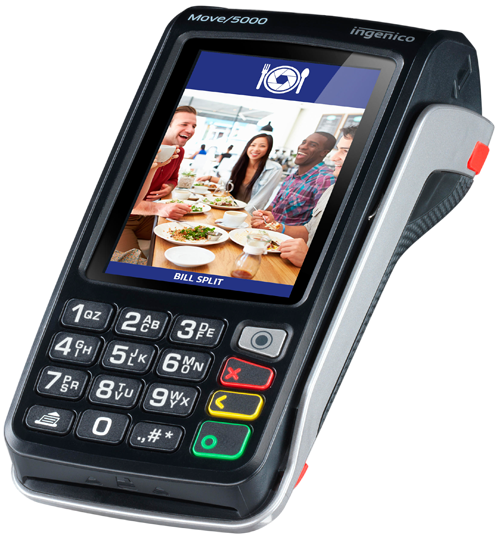 Chetu leverages Ingenico TETRA, ICT220, IWL 250 and more for unattended, multilane, in-store, outdoor or mobile set-up to help businesses in any sector provide impactful customer experiences with full transaction and reporting functionality. Chetu uses Ingenico ePayment solutions, including online, mobile, and cross-border payments, checkout and conversion tools, fraud protection and Ingenico Connect to connect businesses at a global level via secure and reliable payment technologies. Chetu's Ingenico Group development experts ensures your payments software complies with consumer protection standards including Payment Card Industry Data Security Standard (PCI-DSS), Payment Application Data Security Standard (PA-DSS), EMV, Check-21 and other payments standards.